Yesterday, I successfully completed my first (and likely, only) marathon. It was a great ride – 42.2k in 3:51:21 – about two minutes ahead of my plan. Moving forward, I think I will to stick to my sweet spot, which are 10k and half-marathon runs. My wife and son (and my knees!) will thank me. The amazing team of volunteers (I believe over 2,000 in number!) that made the day run so smoothly. My friends who were in the crowd and gave me a shout-out along the way. In more-or-less chronological order: Tania and Tara from Team in Training; my brother Lee and niece Alison (four times! ); Brent Smyth; Jane Spiteri; Alisha Prater; Chandra von Teichman (I think I saw them twice, but it may have been three times); Carol Patterson; Kevin Goheen; Dennis Jackson (three times); Rick Hellard (three times); Mary Jo McMenamin; Megan Hamilton, Jenny Koumoutsidis; Ryan Newton (three times); Rachel Schmidt; Stephen McDougall; my wife Bonnie Peebles and son Reid Shouldice (three times); and Helen Smith. Forgive me if I forgot anyone, but you all made the 42.2k journey MUCH shorter! 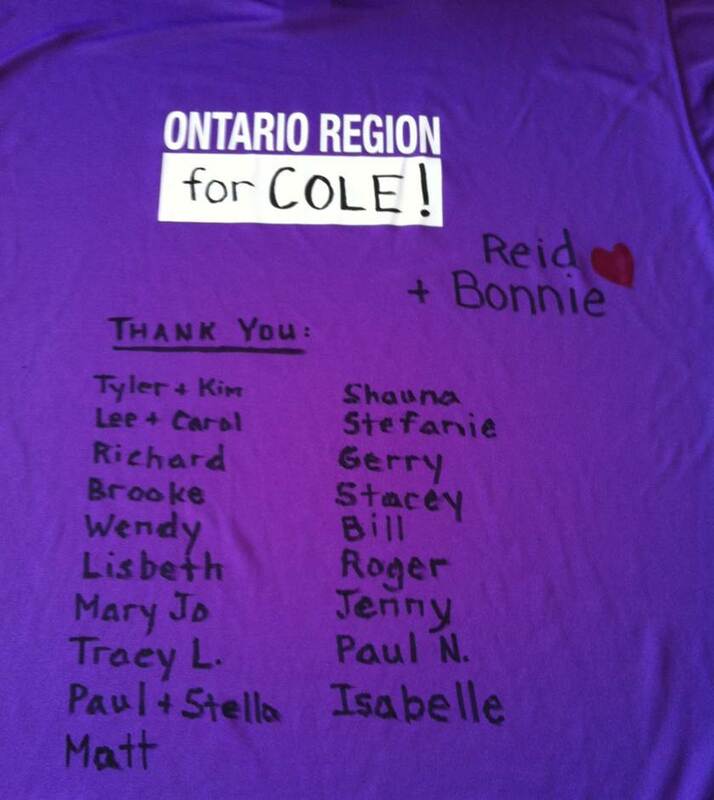 The wonderful, wonderful people who made little freezies that were given out on Birch Street (around 33k in). You have no idea how badly you were needed. The two kind souls who sprayed me with a garden hose to cool me off in the last hour. Especially that guy on Queen Elizabeth Drive at about the 41.5k mark. The equally kind volunteer who handed me a popsicle stick with a glob of Vaseline on it, at Tunney’s Pasture (if you’re not a male runner, don’t ask). The children – so many of whom wanted high-fives. And the runners who were willing to oblige and weave out of their route to give them. The weather … gorgeous for the spectators, but warm for the runners. Fortunately, a fog hung in for about 1.5 hours from the marathon start, giving us a reprieve. My friends Janet Newton, Natalie Fraser, and Thalia Cerilli Pena – all of whom ran their own marathons yesterday (Thalia got a marriage proposal, in addition to a medal, at the end!). My co-workers and friends Justin Foster and Kristin Divisnki, both of whom helped raise over $5,000 for blood-cancer research and finished their first half-marathons. GO TEAM!!! All of the people out there fighting various cancers – some of whom are my friends or loved ones of my friends – who provided my heart with the motivation to keep going after 37k when my body was making a convincing argument with my brain, to stop. The live music – there was a band every 3k or so, which provided a much-needed break from the pounding. And the calibre of the music was top-notch! The one guy – and I’ll never know his name – who followed the route and whom I must have seen 8 or 9 times along the course, encouraging us to keep going. The squeals of delight as people running near me recognized their friends & loved ones in the crowd – so heartwarming and an instant lift. The strangers in the crowd who took the time to find my name on my jersey and call out encouragement. The company and calm guidance of Coach Jenna Ladd, who calmed me in the corral and ran the first 8k or so with me and kept me on plan. And to Coach Rick Hellard, who didn’t get to run with me yesterday but whose discipline was infused into every one of the muscles that got me there without injury. Thank you both. The peer encouragement of other runners – like the guy who gently touched my shoulder in the recovery line and asked if I was OK, when he sensed something was amiss physically (there was – I had a sudden, intense foot cramp). Thank you, stranger. 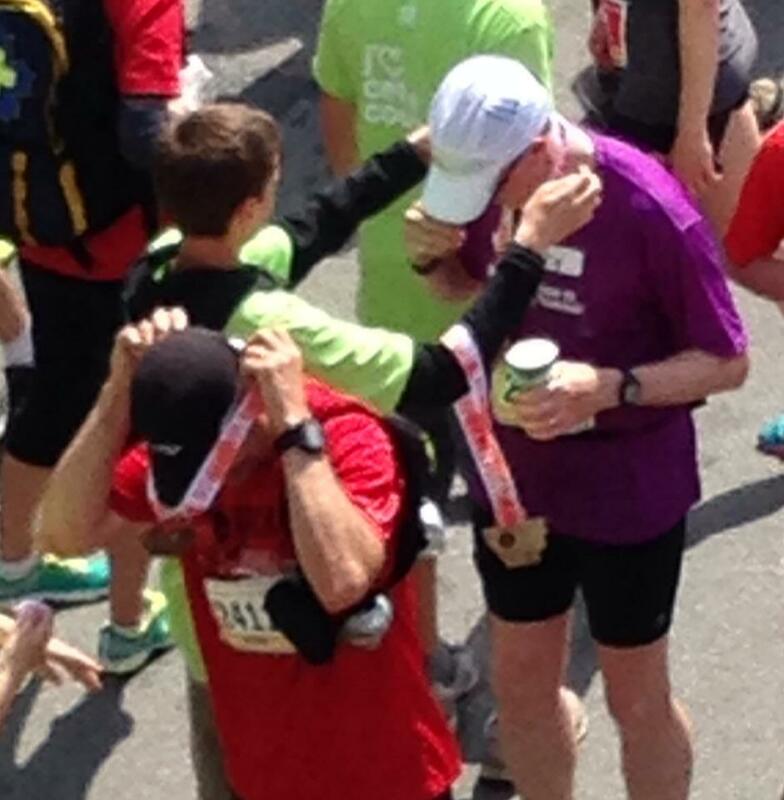 The beauty of Ottawa – a city designed for runners, if there ever were one. Those of you who have not run here, MUST make the time to do so. 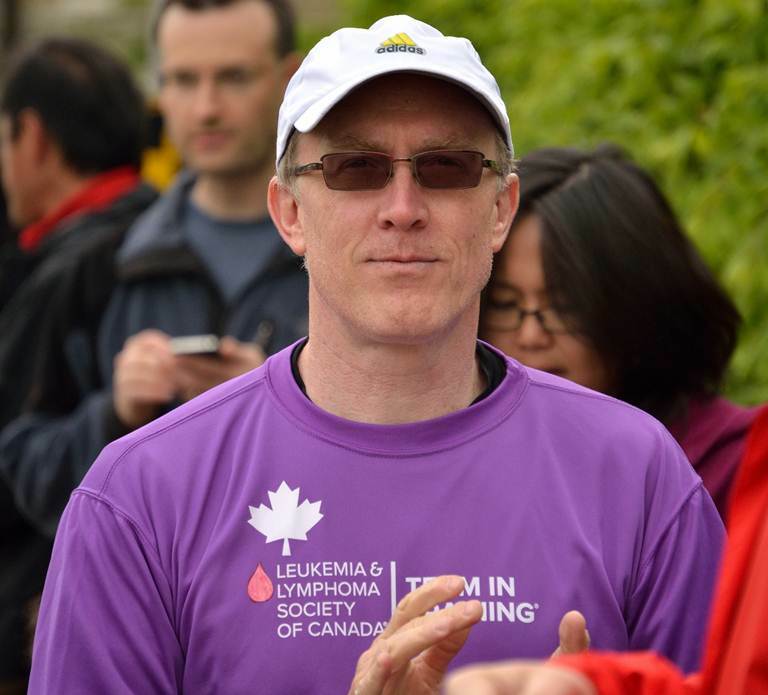 The waves of emotion I experienced when I saw my family in the crowd, and when I encountered my friend Rachel, a blood cancer survivor and fellow runner, screaming support at the Alexandra Bridge. You’ll notice these are all positive things. That’s because anything even remotely “negative” paled by comparison and faded from my mind and aching body long before I crossed the finish line. Thank you all, for the support you’ve given me on this journey. Six days away from the Ottawa Marathon, and I’m encountering what was to be expected: pre-race anxiety. I’m worrying about getting sick (check – caught a head cold yesterday, but better now than next weekend) … dropping something on my foot (so far, so good) … infected toenails (almost – but fortunately averted); weather for race day (currently looking warm but not brutally so), etc. I’m literally processing EVERYTHING in my world right now, in context of the race. It’s more than a bit crazy-making. I pity my poor family, who has to experience my race-day thinking constantly, in my not-so-inner voice. I’m also naturally wondering if my training will get me there: all of those frigid runs in January/February/March, the never-ending intervals on the Canal every Tuesday, and the lonely, solitary long runs (which I have to admit, I enjoyed – even when it was freezing). The good news there is that I’m confident I can do this. I had the good privilege to be coached by Rick Hellard and Jenna Ladd all the way. They have served as both the encouragement (Jenna) and sage discipline (Rick) that I need, to make the 42.2km journey. I have a pretty busy week ahead and Ottawa Race Weekend will be upon me before I even have time to think about it. So BRING IT! I can’t wait for my brother & his family to arrive Friday night (they are running in the 5k and 10k races on Saturday, along with my son Reid), and for our visit to the Race Expo Saturday morning, to pick up our bibs and other running swag. Woo-hoo! For those of you in Ottawa – I need your help. 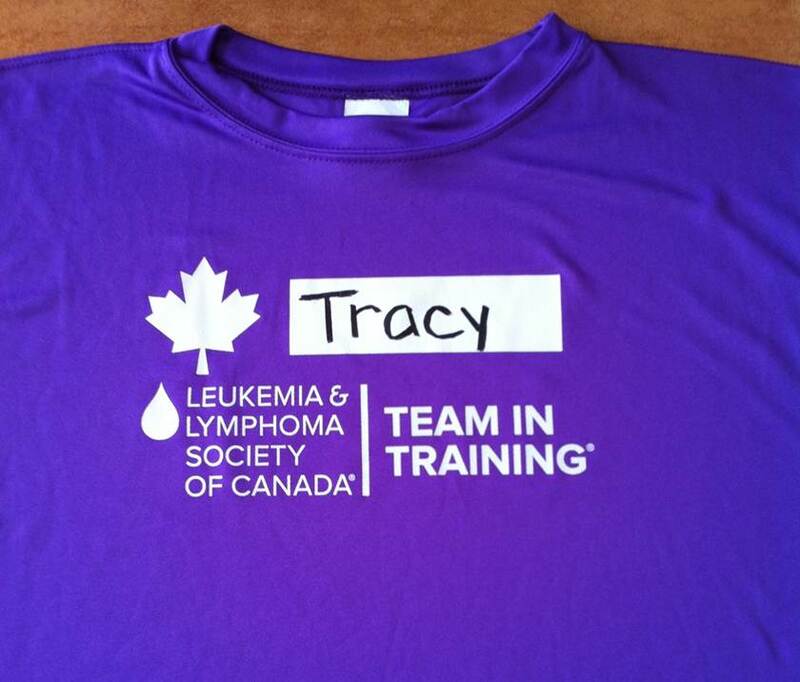 On race day (Sunday from 7am to 11am), several of us will be wearing the distinctive Team in Training (TNT) purple jersey on the marathon course – this depicts someone who is running to raise money for blood cancer research. Our goal is to eradicate cancers like leukemia, lymphoma, myeloma and Hodgkin’s Disease from our lexicon. Here’s what you can do – which would make a huge difference to me and my TNT teammates: if you see any of us on course, give us a big shout-out, as loudly as you possibly can. The cheer we use in TNT is “GO TEAM!” Trust me, it will put a glow in our hearts and a skip to our step (not to mention tears to our eye) to hear that along the way. Finally: one more huge thank-you to everyone who has supported me along this journey: to my wife Bonnie and son Reid, who have supported me in this endeavour since day one; to my TNT coaches Rick and Jenna; to my TNT teammates, each of whom is an inspiration; and to my family and friends (see below) who have donated to the cause by sponsoring my marathon. You are all incredible people. I am honoured to know you, and privileged to run with your support. See you on the course … and GO TEAM!!! So – I was warned. 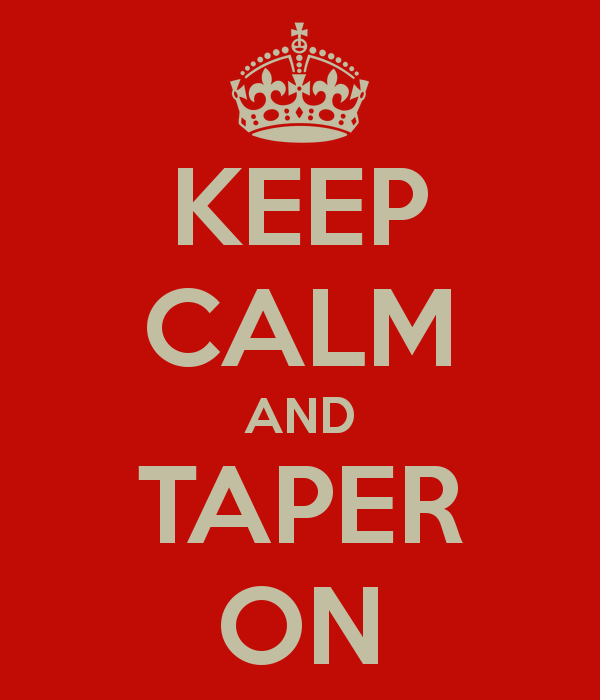 The taper period is fraught with worry (e.g., about getting sick, injury, etc.) and because I’m not running as much, I need to fill the time with something … anything … to keep from going stir. Immeasurable: the degree of gratitude I have to my family, sponsors, coaches and teammates – who have gotten me to this point!